The Tex-Styles will be live at Sawdust City Brewing Co. May 11th from 8:00 – 11:00 pm. 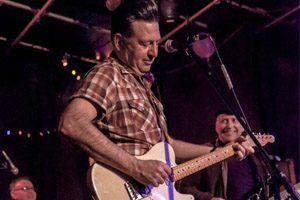 Formed in Toronto in 1986, The Tex-Styles began after like-minded country and roots music fans Matt Allen and Ryan Wilson met while attending Saturday matinee Melody Ranch shows at the Brunswick House. For complete event details please follow the link provided.